Atlantic is a community living life on the road with a goal to partner with communities everywhere to help and encourage them in their faith and life. Atlantic's heart has always been to see lives changed. Their most common medium to do that has begun with music. Overtime, it has expressed itself in many different ways such as speaking, teaching and missions experiences. It is a deep and growing passion of Atlantic to help the poor and marginalized in this world and to mobilize and encourage others to do the same. 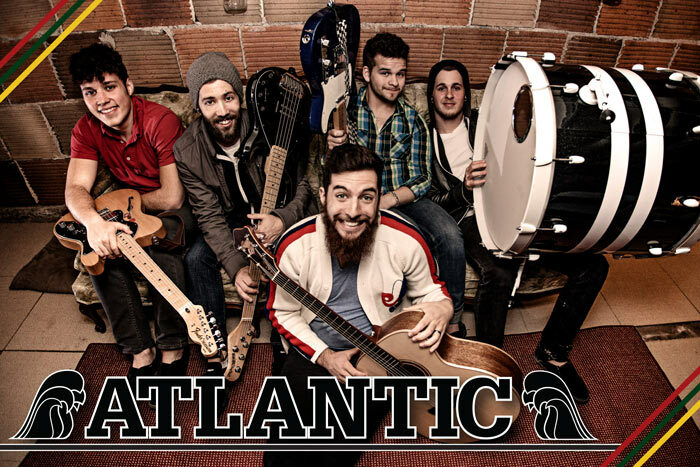 Atlantic often finds themselves doing so in venues ranging from summer camps, churches, youth groups, community centers, around dinner tables, living rooms and wherever else people gather. Atlantic is extremely excited about this upcoming year. They have plans for their third album, seventh North American tour and more mission adventures outside of North America! Pray that God will effectively use Atlantic in the days ahead and, if you get the chance, check them out at a venue near you!